SERVING GREAT PIZZA SINCE 1992. 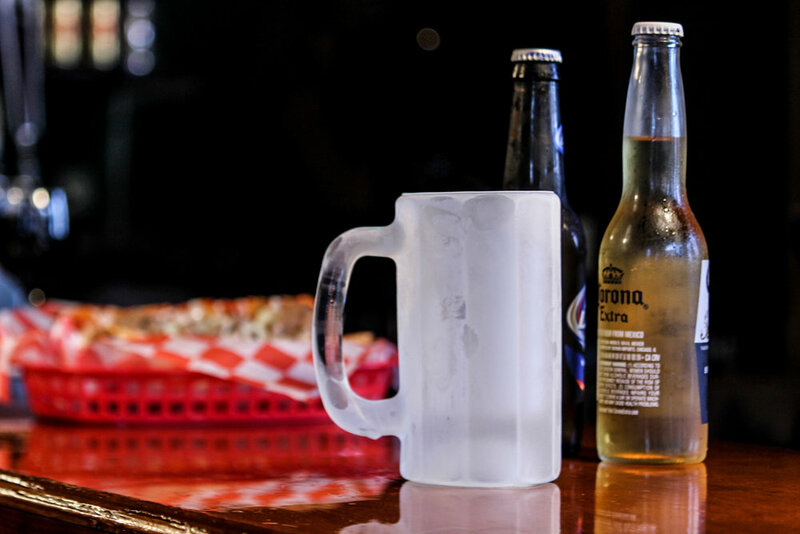 AT MR. G'S, WE PRIDE OURSELVES ON PROVIDING FANTASTIC PIZZA AND A FRIENDLY ENVIRONMENT FOR THE WHOLE FAMILY. Located right around the corner from Old Downtown Branson, Mr. G's has been a great lunch and dinner spot for the whole family for over 20 years! 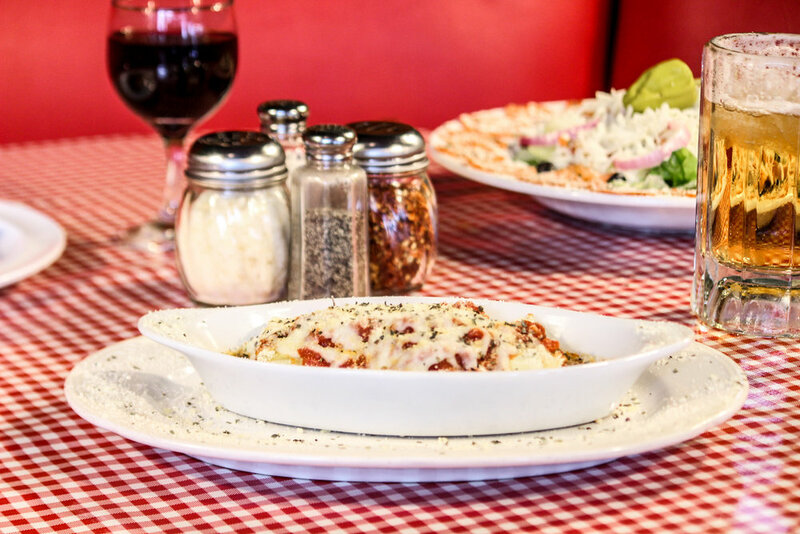 We pride ourselves on providing delicious Chicago style pizza along with some excellent sandwich and salad options too. 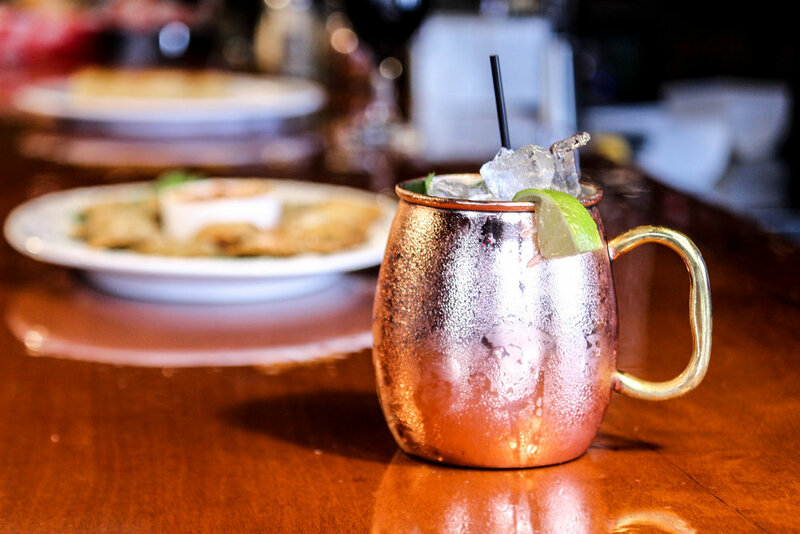 Come in, have a drink, and enjoy one of Branson's best kept secrets. Classic four cheese and beef raviolis dipped in Italian bread crumbs and fried to perfection! Served with our fresh marinara. Breaded mozzarella deep fried and served with marinara sauce. Deep fried, tossed in Frank's Red Hot, or Sweet Baby Ray's BBQ sauce. Served with blue cheese dipping sauce. A favorite local treat. Made in small batches, so get 'em til they're gone! Cream cheese, leeks, and fresh crab rolled in paper-thin dough and deep fried. Served with a honey dijon sauce. French bread dipped in olive oil and smothered with garlic and cheese. 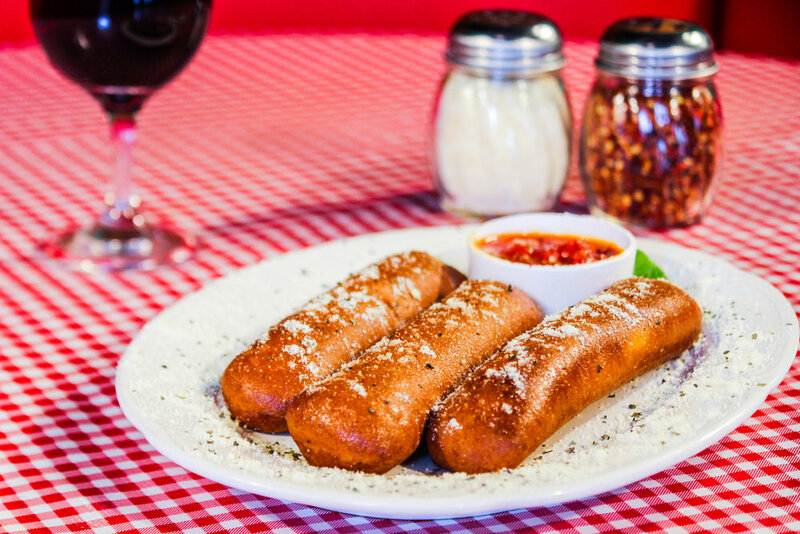 Mozzarella stuffed bread sticks, sprinkled with garlic and served with our homemade marinara. Thinly sliced baguette, toasted with olive oil, topped with fresh diced tomato, minced garlic, capers, and lightly dusted with fresh shredded parmesan and basil. Mr. G's Pizza is made from scratch to achieve the authentic taste of Chicago. It takes a bit more time, so sit back, have a drink and relax and know you have a homemade, quality pizza that's worth the wait. The only way to have it! Pepperoni, Italian Sausage, Onions, Mushroom, Black Olives and our sweet Green Peppers with two kinds of cheese. Pepperoni, Italian sausage, Canadian bacon, and two types of cheese. BBQ basted chicken, onions, and sweet green peppers. We replace the tomato sauce with BBQ on this one. *All pizzas can be deep dish (allow 30 minutes) or thin crust. All sandwiches come with a choice of french fries or dinner salad. Stuffed pasta filled with garlic and rosemary infused beef and pork, or five Italian cheeses drenched in marinara and toasted mozzarella.